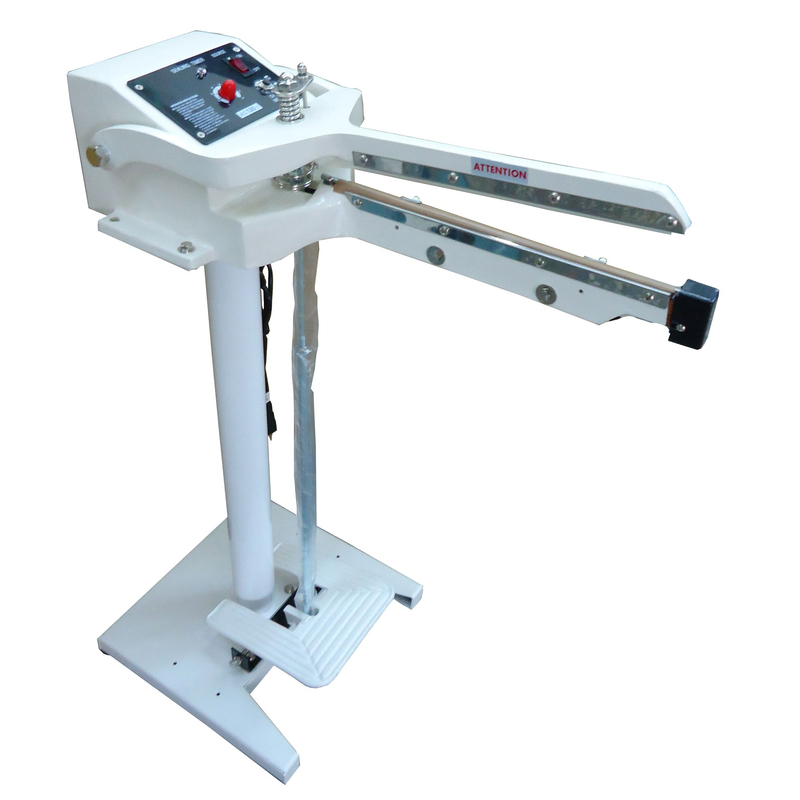 Foot Impulse Sealers are available in lengths from 12" to 35" long and seal widths from 2mm to 10mm, with or without a sliding cutter. There are several different models available for special sealing needs. Impulse sealers fire a short impulse of electricity through a specially designed heating element to seal the open end of bags. The length of the seal time will depend on the type and thickness of the bag being sealed as well as the type of sealer. Our sealers seal poly bags and any thermoplastic material such as polyethylene (PE) and polypropylene (PP) quickly and efficiently. Other materials also may be sealed. No warm up time is needed. 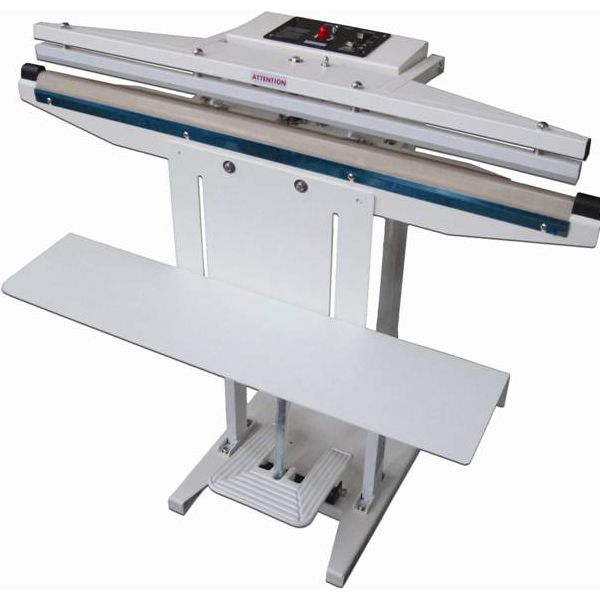 Foot impulse bag sealers are perfect for higher volume users to enjoy the ease of a standing heat sealer because it frees up your hands for quick production. These sealers have seal widths from 2mm to 10mm. Use the wider seal widths for the more robust liquid tight seals needed for food products. Regular foot operated impulse sealers in several lengths of seal. 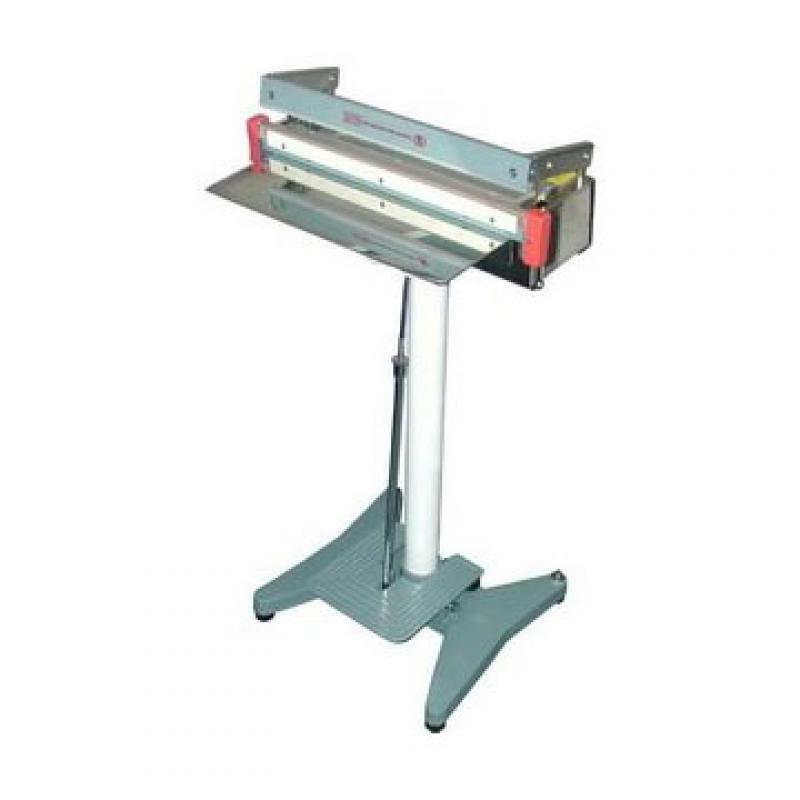 There are also foot sealers with cutters that have a cutting blade to trim the excess end of a bag off or for using tube stock. 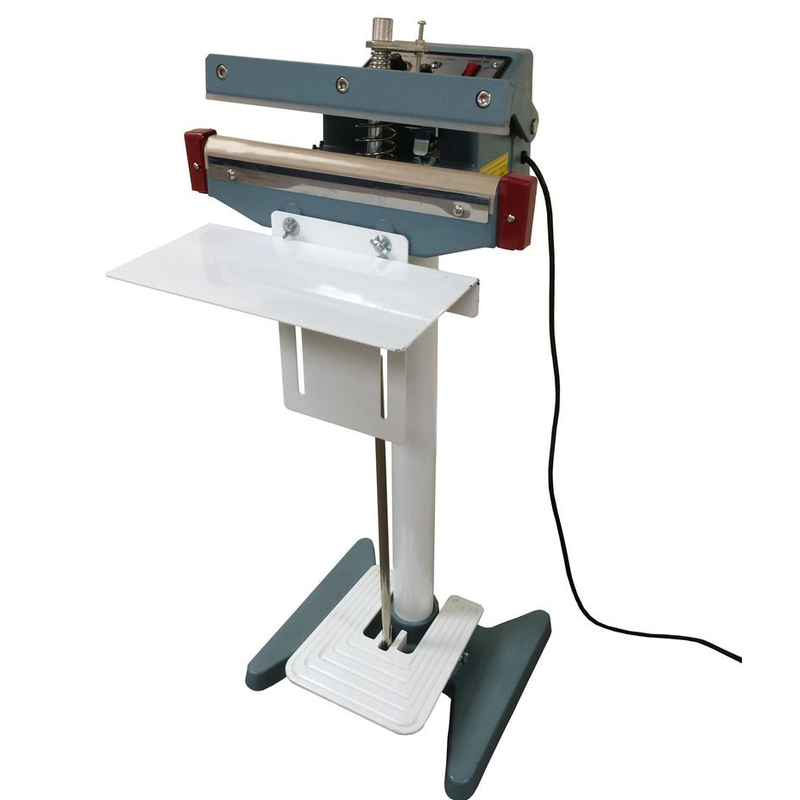 Our pneumatic foot sealers are air operated which makes the sealing process more automatic. 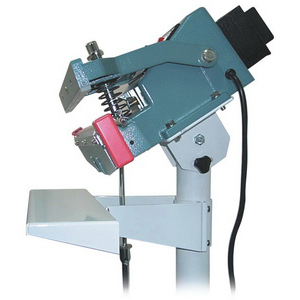 The adjustable angle sealers have the sealing head mounted on a swivel which makes sealing some items such as liquids easier. The Upper Jaw sealers have the heating element on the top of the jaw instead of the bottom which is ideal for sealing liquid or wet products. 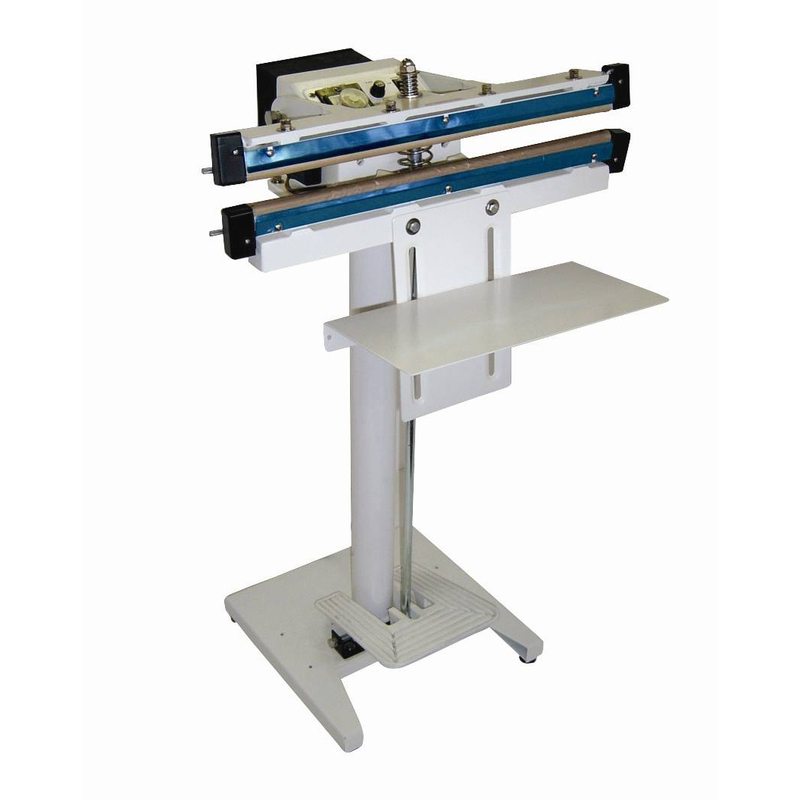 Double impulse sealers have a heating element on both sides of the bar and are used for sealing thicker materials.